2016 was a rough year. Except for the movies. That is my escape. I love going to the theater. It’s an experience I will always treasure. I admit I found myself encountering a lot less “must-see” offerings this year. The highest grossing hits were not my favorite films. Of the Top 20 pictures that made the most money over the past 12 months, only two appeared on my similarly numbered list. Both were animated, incidentally. Thank goodness for the independents (Lionsgate, Focus Features, A24, Roadside Attractions et al.) Those studios are producing some of the very best stories today. Thanks to them, 2016 was stellar. I’m hopeful for the future. The following 20 features (Top 10 followed by 10 honorable mentions) comprise a list for 2016 that is just as great as any year’s. Directed by Damien Chazelle – Starring Ryan Gosling, Emma Stone, John Legend, Rosemarie DeWitt. La La Land‘s aesthetic borrows from history but the time period and the characters are rooted firmly in contemporary society. 2016 is all here: cell phones, Hybrid vehicles, the part-time job as a barista. Chazelle makes our present era seem so much more magical. There is an exuberant quality I haven’t seen recently. Mia and Sebastian radiate sweetness too. This uncorrupted pair shares a purity. You want them to be together. Their emotion is real. You fall in love. This why we go to the cinema. Directed by Barry Jenkins – Starring Trevante Rhodes, André Holland, Janelle Monáe, Ashton Sanders. Director Barry Jenkins inspires many questions: Who are we as a person? Are we the product of our environment? Can we rise above these obstacles? How do these events shape us into the adult we become? There are many more. Some appear to have answers. Others are open to interpretation. Chiron’s experiences will touch each viewer in different ways that will encourage reflection for days afterward. His struggle may not be yours. However, it still involves the combustible components that are part of every human endeavor. In this way, Jenkins imparts a movie that speaks for all humanity. 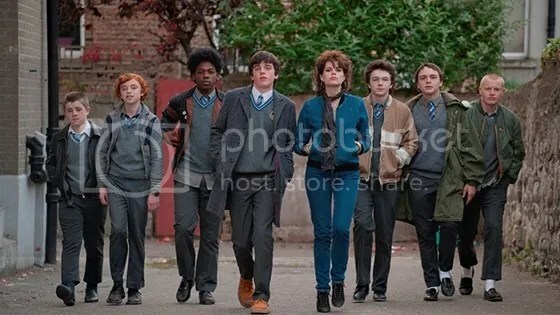 Directed by John Carney – Starring Ferdia Walsh-Peelo, Lucy Boynton, Maria Doyle Kennedy, Aidan Gillen. “The Riddle Of The Model” is the first single from their newly formed band. The accompanying video they shoot is pure joy. Fun and infectious, it’s edited like those primitive MTV videos of the early 1980s. It’s a testament to the quality of the arrangements that the original songs stand up alongside actual 80s hits by Hall & Oates, Duran Duran and The Cure. Their melodic style sort of imitates the new wave/pop hits of the era. They flourish but not without first encountering the requisite challenges that you know they’ll overcome by the time the drama is over. Conor deals with a tough classmate and an even tougher principal. No the narrative isn’t the most innovative thing in the world, but it sure is entertaining. Directed by Byron Howard & Rich Moore – Voices of Ginnifer Goodwin, Jason Bateman, Idris Elba, Jenny Slate. Zootopia manages to address racism, the crack epidemic and how authorities use scapegoating to supplement their power by instilling fear of marginalized groups. Whew! No, it’s not subtle, but it isn’t heavy-handed either. What makes the lesson so palatable is in the details. Visually it’s a marvel and if my review were based solely on spectacle, it would be enough. 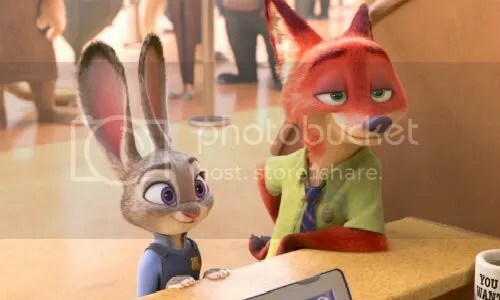 Zootopia goes deeper by catapulting the ongoing discussion of prejudice to the front and center of a Disney cartoon. There’s so much subversive wit. Directed by Taika Waititi – Starring Sam Neill, Julian Dennison, Rhys Darby, Rima Te Wiata. There’s a preciousness that touches the heart without ever being overtly twee. It recalls the work of Wes Anderson. Believe me, that’s a compliment of the highest order in my book. Actor Sam Neill and newcomer Julian Dennison have an odd couple chemistry that makes this “hang-out” yarn thoroughly enjoyable. The veteran actor is good but the rookie is even better. Julian Dennison steals the film and probably your heart as well. Directed by Jeff Nichols – Starring Joel Edgerton, Ruth Negga, Marton Csokas, Nick Kroll. The central duo shows such restraint that their lack of ferocity can be a bit surprising. These two are the least revolutionary types you could possibly imagine and yet their actions changed the fabric of the nation. That’s kind of inspiring. It gives hope to the masses because it means anyone can make a difference. The emotion is intimate and the humanity present within their circumstances becomes more palpable. Sometimes a revolution doesn’t start with a bang. Directed by Kenneth Lonergan – Starring Casey Affleck, Michelle Williams, Kyle Chandler, Lucas Hedges. Manchester by the Sea is like a mournful symphony gently guided under the masterful direction of its conductor. The adagio pace of the film unfolds as a contemplative composition. At 2 hours 17 minutes, it’s leisurely pace can tax the viewer’s patience, but the rewards are great. It’s a work marked by the modulation of sensitivity as we witness an evolution of poignant discussions. Happy, sad, angry – our undulating emotion crescendos with a heartbreaking conversation. The account ultimately continues on to the gentle sublime cadence. Directed by Richard Linklater – Starring Blake Jenner, Zoey Deutch, Ryan Guzman, Tyler Hoechlin. As with any chronicle of another time, we’re dealing with generalizations, but Linklater truly gets the spirit of the age down. It’s a time period the director knows well as Linklater himself was a hopeful baseball player at Sam Houston State University in 1980. The affection he has for this subject matter comes through every lovingly recreated scene. There is such an eye for key details, right down to the fashion of the time. Those short shorts, skin tight polyester shirts and abundant mustaches establish the time period just as well as the corsets and cleavage in a costume drama do. Additionally, music is beautifully woven into the fabric of this production. The scenes in the clubs almost play out like the production numbers in a musical. Directed by Whit Stillman – Starring Kate Beckinsale, Xavier Samuel, Emma Greenwell, Morfydd Clark. Love & Friendship is a wonderfully crafted story that will charm Austen fans with its wit and sparkling wordplay. The script is a marvel with pleasantries and barbs doled out in equal measure. The individuals Jane encounters are sophisticated, educated and polite, but overly mannered to the point of being finicky, almost uptight. Director Whit Stillman exploits an erudite segment of society that other filmmakers would relegate as side characters for comedy. Yet Stillman, like Woody Allen or Wes Anderson, brings them to the fore. He has such love for these people. Even when he is making fun of their foibles, there is a palpable admiration for their temperament as well. Directed by Tom Ford – Starring Amy Adams, Jake Gyllenhaal, Michael Shannon, Aaron Taylor-Johnson. I was a lot more selective this year so I avoided a lot of truly dreadful films. However, I still managed to see a few things I wish I hadn’t. I don’t like to dwell on these. The focus of my annual recap is to champion the BEST. Nevertheless, I do see a lot of films and it IS interesting to see what ranked at the very bottom. These three were the most egregious. The very worst being at #1. Yay LaLa Land! What a great and diverse list. Seems like every movie genre is represented. Great job. Musical, drama, animated, comedy, period piece, thriller….hey you’re right! Great list! I’ve seen all but Loving and enjoyed them all. Yay for Sing Street, Love and Friendship, Zootopia will make my top 15. Everybody Wants Some is just outside of it. I like how you mention a couple of times the affection the filmmakers have for their characters. I respond to that as well where a movie like Jackie I felt they didn’t like or admire her very much. It’s been great sharing movies with you this year! 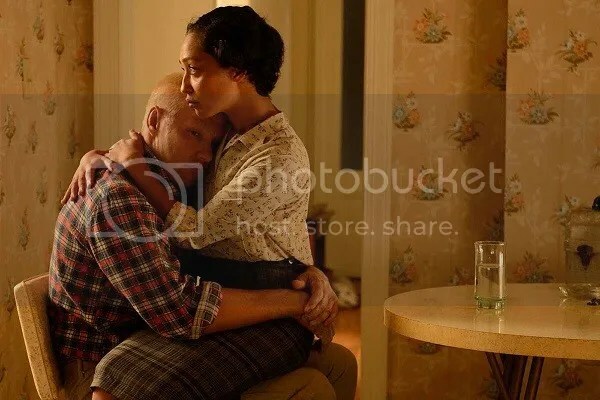 Go see Loving immediately! It’s a beautiful film. Great sharing movies with you this year. Here’s to a great 2017 (and more podcasts)!! Yeah the weekend of Dec 9–11 it played in over 500 theaters, but then has been steadily decreasing ever since. I suspect it will be re-released after the Oscar nominations are announced. Fingers crossed. La La Land ! Damien Chazelle is just phenomenal. Great list. A Happy New Year, Mark. I agree. Here’s a new major talent. Good list. 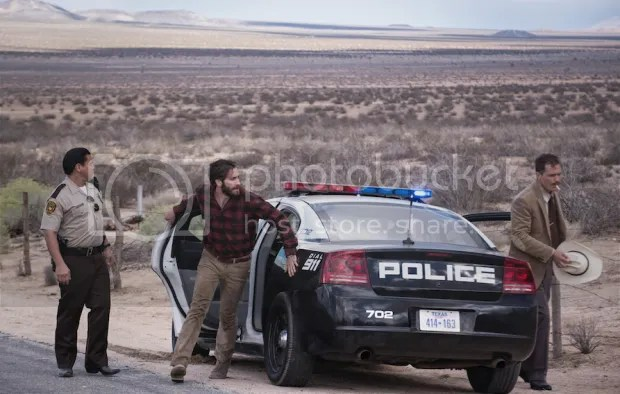 I am yet to see “the Nocturnal Animals”, but from what I’ve heard it is really good. Have you see “The Handmaiden” by any chance yet? I haven’t. It only played for a week at the theater. On my list though. I think it is one of the best films of the year, and one of the most artsy- intelligent ones I’ve seen. No doubt about it whatsoever. Hope you’ll see it, and a Happy New Year! Great list. A many I didnt get to see. Good to see Sing Street so high. Saw that way back in April and it never left my heart. Loved that film! Can’t wait to see Nocturnal Animals, Mark. I was a huge admirer of A Single Man and I loved Tom Ford’s approach to that. I’m hoping for much the same. It’s a somewhat polarizing film, but that’s part of what makes it so unforgettable. I also used movies to escape from all of the turmoil in the world and political nonsense. Great list! Happy new year to you and here’s to 2017. Noticed a typo. 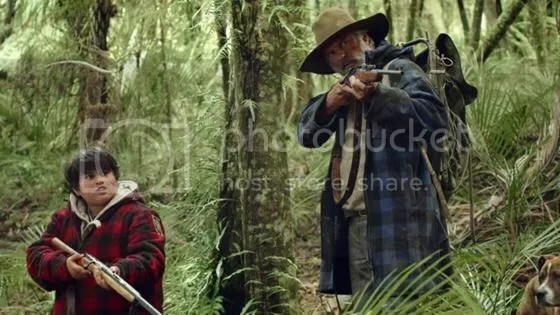 Alonso Gomez-rejon didn’t do hunt for the wilderpeople it was taika waititi but guessing its due to last year as a template and me earl and the dying girl being in that spot previous…simple oversight? You are 100% right about the director AND about how that name was left in its place from last year. An inspired Top Ten list, and an equally interesting Top 20 Mark! I especially love seeing an animated film make it so high on your 10, and to see Everybody Wants Some!! make the cut as well. That was a hard one to keep off for me, and for it to not qualify for any of my faux-categories is saying something about the year that ended up happening! So much other stuff to consider. I feel bad for not including it. I’m about to watch Weiner-Dog for assignment for another blog I write for, and I’m looking forward to it. I heard it’s pretty ridiculous. . .
Maybe not ridiculous, but weird. It’s odd but I understood the seemingly gloomy perspective in Wiener-Dog. The movie ends on a note of comedy, but there were flashes of hope throughout. Everybody Wants Some!! stuck with me. I knew I loved it immediately back in March but figured it wouldn’t hold up to 9 months of new releases. It did. Seeing it end up on so many year-end lists was validating. I couldn’t leave it off my Top 10. With the exception of “Love and Friendship “, list is awesome. La la land and Moonlight are tied for 1st on my list. I’m hoping for Oscar nods for Best Adapted Screenplay or Best Costume Design. Anything else I think is wishful thinking at this point. Nice to see Sing Street so high! There’s definitely some overlap in our Top 10 Movies of 2016. Loved Moonlight, Zootopia, and Manchester by the Sea. Loving was solid too and so was Everybody Wants Some!, but neither made my top 10. La La Land didn’t even get close. I still need to see Sing Street, Nocturnal Animals, Hunt for the Wilderpeople, and Love & Friendship. Happy that Hell or High Water, Moana, The Witch, and Queen of Katwe made your honorable mentions since they were among my favorites. The ones you haven’t seen were pretty small, underseen pictures by the general public, I’d probably start with Love & Friendship first. That is if you enjoy period pieces. It connected with the largest audience — ultimately earning $14M — a sizeable hit for a small picture that only cost $3M to make. I’m super excited to see what your list its going to look like this year! Actually…so am I! I’M not even sure how it’s going to look yet.